More often than not, when the hustle and bustle of everyday life starts to feel overbearing again, it is the sea, sand and sun of Goa that beckons people from all over the world. However, it is not only the picturesque sunsets or the tumbling waves that embed themselves in the memories of visitors from far and wide. The museums in Goa with their ancient wisdom and antique splendour are equally bright beacons of inspiration for people from all walks of life. For those who want to dig deeper and find the secrets of this wonderful gem of a place, here are some museums which offer a glimpse into the historical splendour hidden behind the “sea, sand and sun” image of Goa. To find the first secret window into the past of Goa, you will need to travel deep into the heart of the industrial estate in Pilerne. Amidst the vast steely greyness of Pilerne lies a wonderful oasis of artful experimentation, a world like no other. Here you will find wonders that seem like they have been carried there from a world beyond the borders of our simple, monochrome reality. As you approach the museum, you are welcomed by blue mermaid-like figurines that emerge from the ground. These beings, like the sirens of old, guide you through to the museum entrance, telling you how to get to this wildly beautiful spot of vivid exploration. What await inside are three floors full of contemporary art installations, studio spaces, an art café, an art store, and an auditorium. What’s more? Well, the installations keep changing from time to time as the founder of MOG, Mr. Subodh Kerkar, does not believe in permanent installations. Did you know? 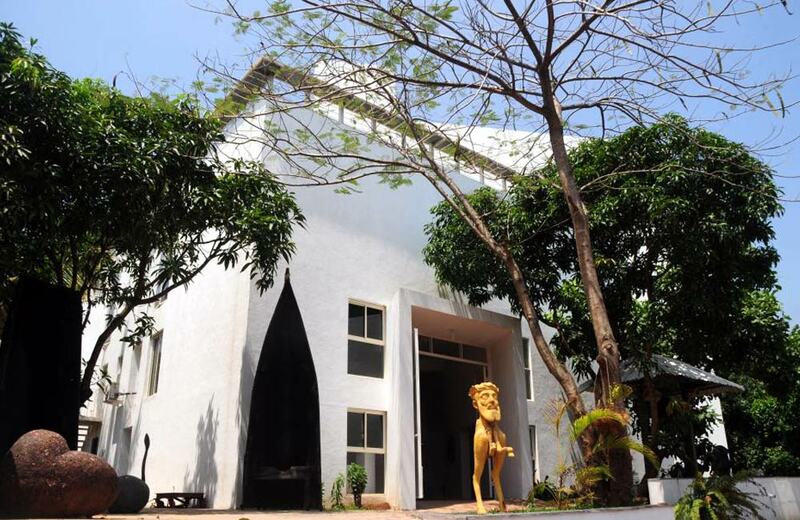 The acronym for Museum of Goa, MOG, actually means “love” in the local Konkani tongue. When it comes to taking a peek down the corridor of Goan history, one element that just cannot be ignored is the architectural landscape of the region. 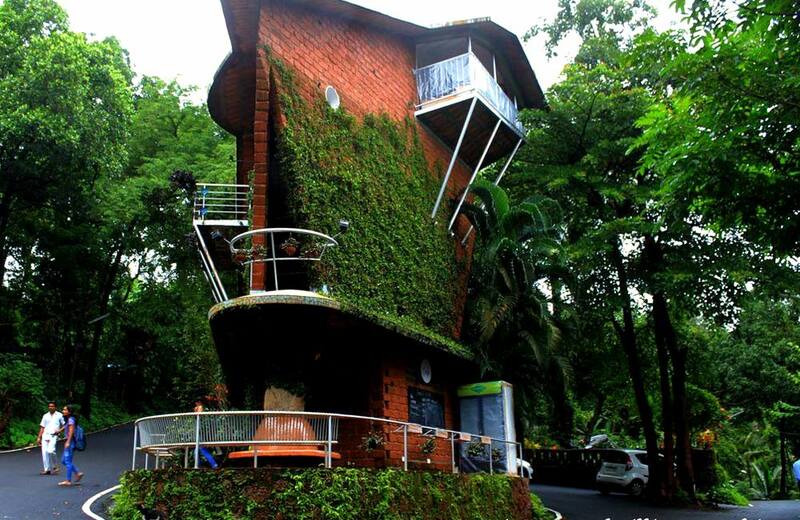 The Houses of Goa Museum offers a chance to go on a journey like no other. This journey is the evolution of houses in the region, from the symbolic Balcaos of ancient Goan streets, to the China mosaic flooring reminiscent of the maturation of modern architectural tastes. The museum contains three floors dedicated to the history of the houses in Goa, the various types of architectural expressions embodied in these houses, and the types of building material used throughout. There is a separate section specifically dedicated to showcasing some of the main symbols that defined the houses of yore in the region. This is where you can view historical remnants of architectural expressions such as Tulsi Vrindavans and the crosses, whose diverse variety tends to incite amazement. By the way, we seem to have forgotten a crucial piece of information – the museum is shaped like a ship which is placed smack dab in the middle of the road! This makes it look like a ship traveling on top of the road – a perfect token of respect to the architectural epoch of Goa from the founder of this place, Gerard da Cunha. A Mission for You: Instead of merely giving you tricks and tips on traveling, we would like to play a bigger role in your travels. Here’s a little mission for you – when you go to Houses of Goa to witness the unfolding of the architectural history of Goa, you will find sculptures of a little policeman in blue uniform waving at you from an alcove here or an arch there. Make sure you ask Mr. Gerard or the other staff members as to the symbolic importance of this little guy and let us know in the comments below about the answer you were given. Godspeed, explorer! From a glimpse into the past of Goa to a glimpse into the beyond! The starry abyss of space is what you shall be looking into when you reach this wondrous place. 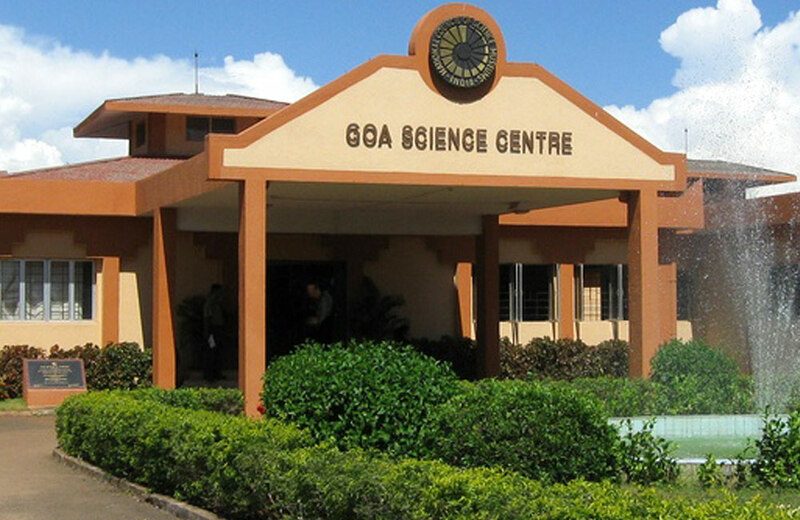 Being on most lists labelled ‘places to visit in Goa’, Goa Science Center is a must visit for all science and astronomy buffs. A visit to this place will allow you to admire the wonders of not only history, but pre-history as well, with a whole ecosystem of Dinosaur sculptures adorning the premises. Other attractions in the place include the marine science section, the 3D shows that transform science lessons into breath-taking experiences, and the mirror maze. 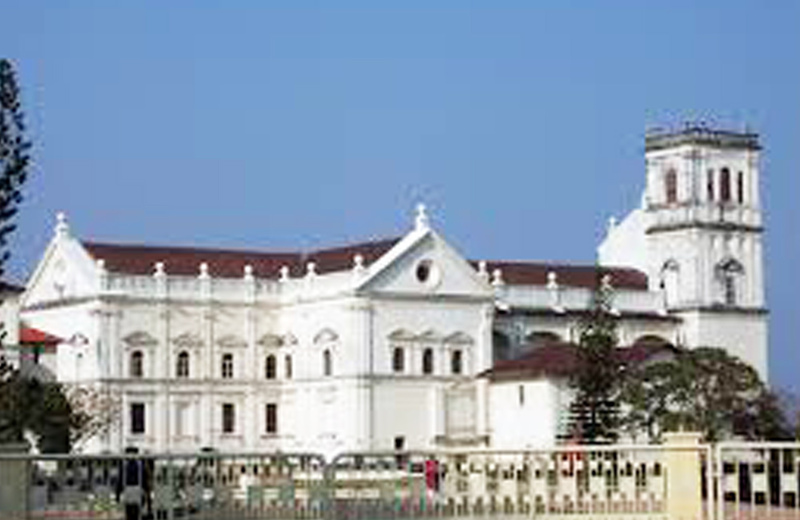 Christianity forms an indelible part of the history of Goa. Hence, you are not mistaken if you think that a visit to the Museum of Christian Art will uncover the answers to numerous questions that modern Goa might pose to you as a traveller/tourist. The star attractions at this museum include centuries-old exhibits that have survived the ravages of time since the Portuguese landed in Goa. Among the curiosities housed within, you will find yourself mesmerized by everything from paintings, furniture pieces, statues, to precious metals, ivory, and textiles. If you are in the process of planning out your itinerary for a Goa trip, make sure you visit the Museum of Christian Art before you take a tour of the famous churches in Goa. This will help you take much more out of the experience of visiting a church than you can imagine! Paraffin wax figurines call out silently to you as you continue to walk, open-mouthed in awe, through the halls of the Wax Museum. 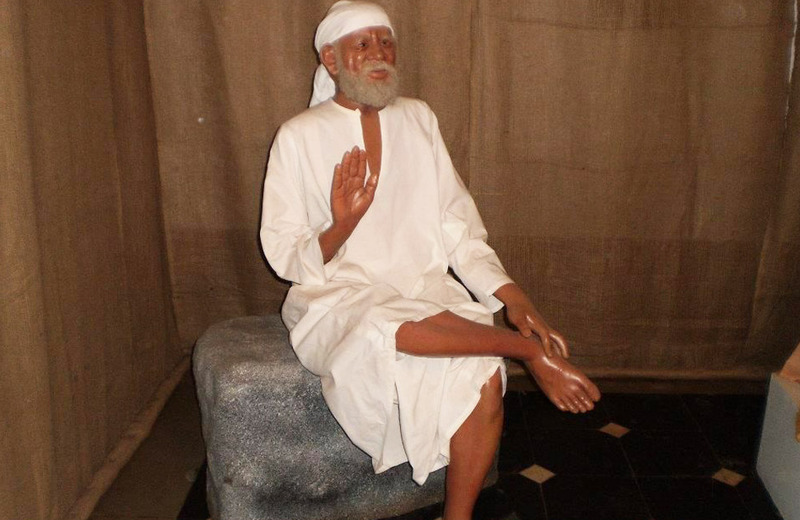 Famous personalities from religious, historical and cultural backgrounds adorn the corridors of the museum as they beckon to you to explore the mysteries of the past in the most realistic way possible. If you find yourself here, make sure you do not miss out on the masterpiece that is the Last Supper – a 22 feet long, 500 kg masterpiece that lets you look at the cuisine, clothing and even the emotional atmosphere that defined this seminal moment in Christian history. Well, we are sorry – we lied. This is no museum (or rather not just a museum), it is a specific slice of time taken from the historical cake that is Goa, and recreated in its entirety. 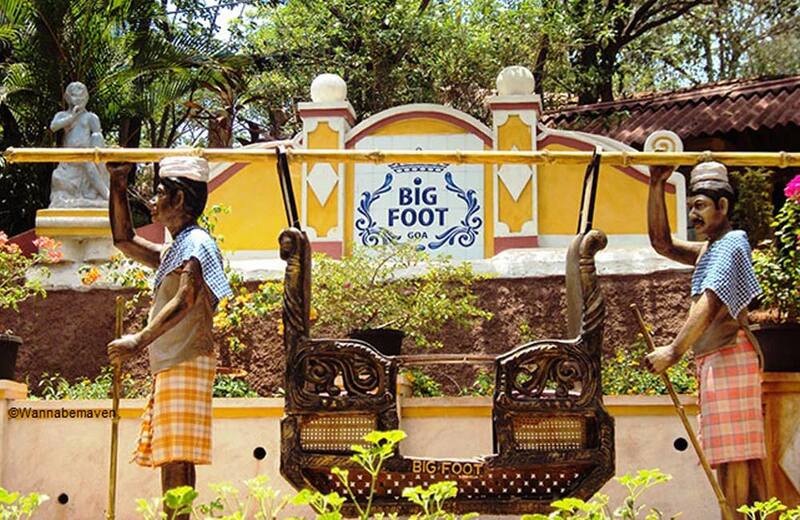 When you enter Big Foot Cross Museum in Loutolim, Goa, you are not entering a hall of artefacts, you are visiting ancestral Goa itself. Some of the different locations that you can visit in this place include rubber plantations, a spice yard, a bird habitat, the Boca da Vaca spring, a restaurant, and a dance floor! If that is not enough, there is a 14-metre high sculpture of Saint Mirabai, carved out of laterite by the owner of the museum, Maendra Jocelino Araujo Alvares. This sculpture has been included in the Limca Book of Records for being the largest laterite sculpture in the country. Make sure you buy a souvenir or two from the handicraft centre on your way out as a reminder of your time-travel adventure! delve deep into the unseen details that form a part of every flight experience, such as the black-box, the aircraft ejection system, and life-rafts. If the Archaeological Survey of India rates a museum as “India’s Top Contemporary Museum”, it should definitely occupy a spot on your ‘must-visit places’ list in Goa. At Goa Chitra Museum, you have the chance to experience the historical culture and traditions of Goa through 4000 artefacts and objects. All of these are symbols of the way of life that defined Goa in the past and the diverse ways in which the lifestyle has changed owing to the evolving circumstances and the periodic clash of cultural strains. 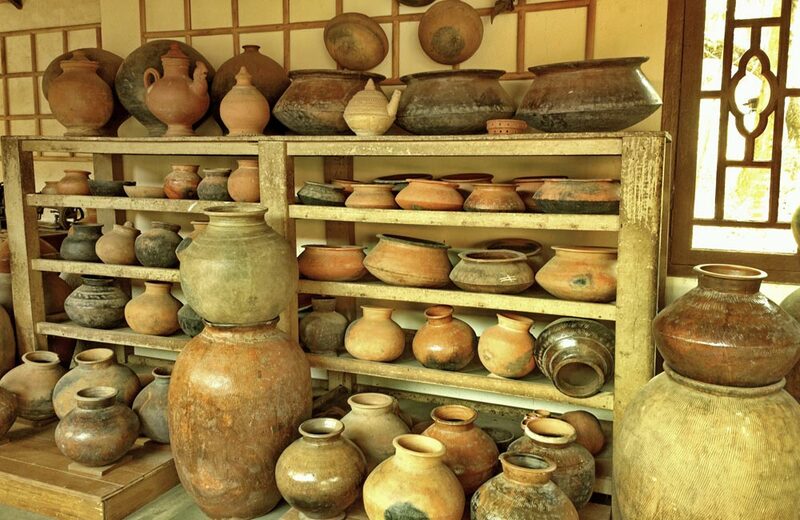 You can find everything from musical instruments and agricultural implements to altarpieces and staple food items here. Be prepared to have your perception of Goa changed forever! With such an introduction to the gateways of the past, we are sure that a vacation to Goa for you will never be restricted to the beaches, shacks and nightclubs. However, before you pack your bags and prepare yourself for the plunge into the rich historical past of Goa, make sure you know exactly which hotels in Goa offer the most affordable yet comfortable stays. Moreover, do not restrict yourself to just the museums if the call of the dark past is what you are heeding – make sure you check out some of the most famous haunted places in Goa, best forts in Goa as well as the some of the most spectacular temples in Goa while you are there. Bon voyage and remember – a place can speak to you in more tongues than one, so keep your eyes, ears, and most importantly, your heart open to its picturesque poems and melodies.